a. Helps the change leader get really clear about why they believe the change is beneficial and how badly it’s needed. More often than not, I find that when I start to compile my case, the need for change looks even more compelling than I thought it was. On occasion, though, it isn’t as compelling. Either way, I’m clearer in my own head about why I’m after the change and why the course of action we’re embarking on is the right one. This clarity means I’m better able to explain my interests and am more likely to hold my ground when I meet with resistance en route. Similarly, new government regulations, bad financing, or product innovations from a competitor all provide compelling reasons to change—but only if you know about them. The way things are might seem wonderful … until you find out that if things don’t change, the business is going to be shut down in six weeks. Then all of a sudden making changes sounds a lot more appealing! Read more about the recipe in this pamphlet! 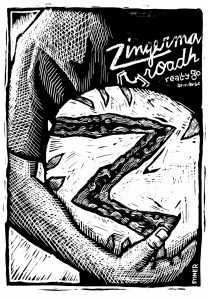 Bottom Line Change: Zingerman’s Recipe for Effective Organizational Change. Zingerman's Community of Businesses | Newsletters | Jobs | Copyright © 2019 Dancing Sandwich Enterprises. All rights Reserved.